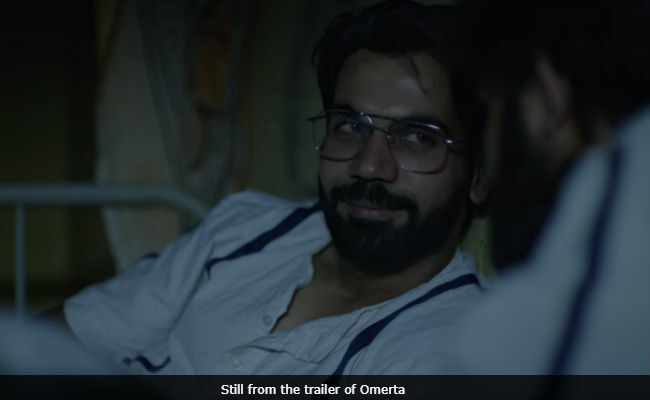 Omerta, starring Rajkummar Rao needs a "miraculous growth" to survive the box office snub coming it way. Trade analyst Taran Adarsh shared that the Hansal Mehta-directed film collected mere Rs 54 lakh on the opening day and added, "Omerta has a lukewarm start. Needs miraculous growth over the weekend to sustain." The film, which is based on terrorist Ahmed Omar Saeed Sheikh rise and capture, opened to decent reviews with praises for Rajkummar's performance. Saibal Chatterjee in his review for NDTV said: "Rajkummar Rao slips into the skin of Omar with chilling conviction." He gave the film 3.5 stars out of five. #Omert has a lukewarm start... Fri 54 lakhs. India biz... Needs miraculous growth over the weekend to sustain. Omerta opened along with Bollywood film 102 Not Out and a week after Hollywood blockbuster Avengers: Infinity War - both film ate into Omerta's business. New release 102 Not Out made a little over Rs 3 crore while one-week old Infinity War collected over Rs 7 crore. Omerta is Rajkummar Rao's fourth collaboration with Hansal Mehta after Shahid, CityLights and Aligarh. "The well-crafted, fast-paced Omerta, much like Mehta's Shahid and Aligarh, focuses on a man who stands apart from the crowd," wrote Saibal Chatterjee. Speaking about his intentions behind making Omerta, which the story of one of most dangerous terrorists, Hansal Mehta had said: "I want to leave the viewer with a sense of awe, disgust, hate, surprise and let them examine the ramifications of these events on their lives today. But that is the burden of truth - it is uncomfortable and it must be faced." Omar Saeed Sheikh is the mastermind behind several terrorist attacks including the 9/11 World Trade Centre attack, the Daniel Pearl kidnapping and the 26/11 terror attacks in Mumbai.